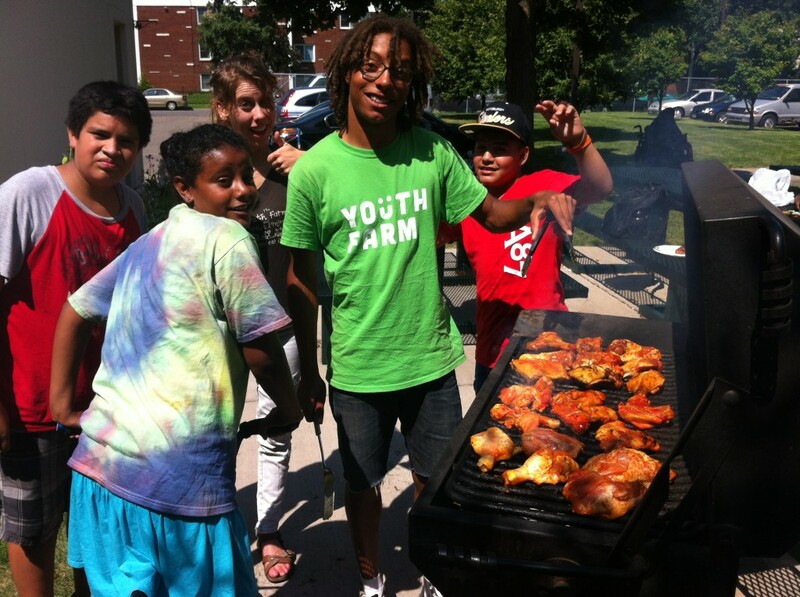 A huge part of our success with family shares this summer is highlighting our veggies in different parts of our program. We have a weekly “Cash Crop” where we celebrate a vegetable of the week. Project LEAD perform “Rotten Idea Theatre” skits demonstrating the Cash Crop’s health benefits. We are also using our food in lunch every day, cooking it in our activity groups, and sending home recipes that Project LEAD chose. All of this wouldn’t be possible if we weren’t growing a TON of food. 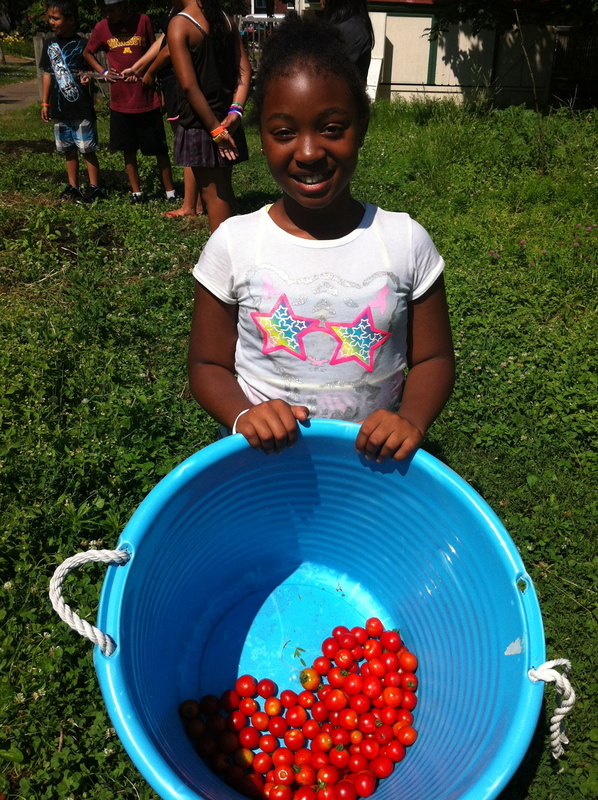 This year we’ve already harvested over 450 lbs of produce, easily twice as much as last year. Farm Stewards led the way this spring in improving our growing practices. We re-built our Lyndale School Farm, built a hoop house, and have incorporated best practices like companion planting into our farm plans. 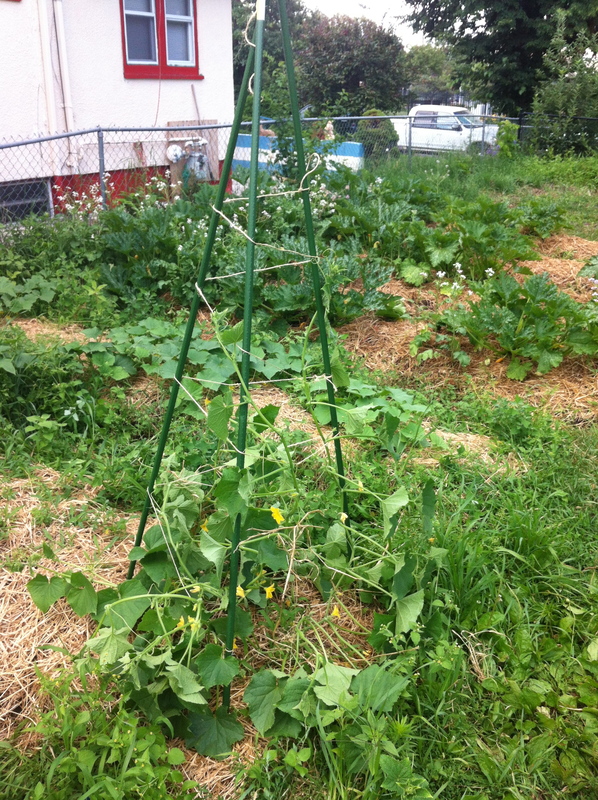 Pillsbury Farm’s cucumbers have been mulched and are getting trellised. In the background you can also see our radishes that we’re letting flower so we can seed save! Kristi Hamilton liked this on Facebook. Emily Seru liked this on Facebook. Abby Pansch liked this on Facebook. Yasmin Banishoraka liked this on Facebook. Shannon Banishoraka liked this on Facebook. Christiana Goldschmidt liked this on Facebook. Next PostNext Chillin’ in the shade eating oranges… SOCC! HAWTHORNE!